We are your best source for installation of Cat5e cabling services in the Greater Toronto Area and all major locations across Canada. Our cabling techs are Fully insured & licenced. We offer a free on-site surveys and quotes with a fixed price. 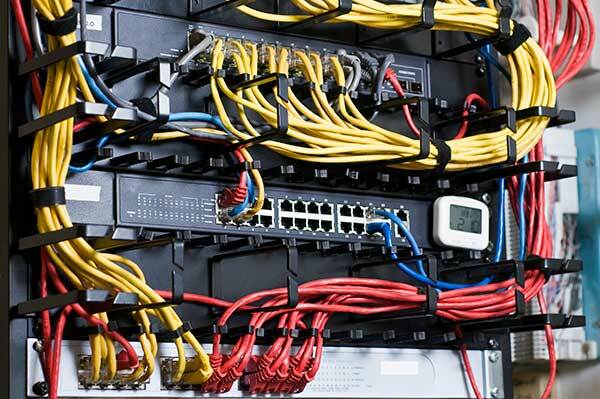 We supply and install complete network cabling solutions right from backbone cabling to all LAN data cabling. Our Network cabling techs are trained in all aspects of structured cabling systems and have worked in all kind of environments including Offices, Warehouses, Manufacturing plants, Schools, Hospitals and more. Cat5e is 1 Gigabit Ethernet over copper cabling system which is still the most popular network cable in Canada. It provides a secure, cost effective and flexible cabling system solution for running today’s LAN protocols and high speed applications. We offer complete CAT5 E data cabling services across Canada. Our partner network enable us to provide 24×7 Ethernet wiring services. Upon completion of our Cat 5 e Cabling runs, our Cabling technicians conduct a series of industry standard tests and certifications to make sure the data flow is accurate and at par with Cabling norms.